This page shows the latest apremilast news and features for those working in and with pharma, biotech and healthcare. 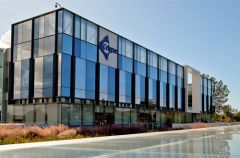 The statements came as Celgene reported expectation-topping sales and earnings driven by Revlimid (lenalidomide) and new psoriasis therapy Otezla (apremilast). of Crohn’s disease candidate GED-0301, and lacklustre data for psoriasis therapy Otezla (apremilast) in ulcerative colitis. year. Otezla (apremilast) is already approved to treat moderate-to-severe plaque psoriasis and has become a blockbuster in that indication, bringing in $1.28bn in sales last year. In 2014, Celgene gained FDA approval for its PDE4 inhibitor Otezla (apremilast) for psoriasis, and has completed a proof-of-concept trial in eczema.